Dues are 0.4% (0.004) of the adjusted basic pay per pay period. (See Bi-Weekly Member Dues Table). How to Join: Simply complete a SF-1187 Form, along with a completed Membership Application and submit to membership@nhcfae.org, or your Regional Center Director (RCD), or fax it to (817) 887-5187. NOTE: You must include the last four-digits of your social security number on the SF-1187, and be sure to sign and date in Section B of the SF-1187. Contact your local Region or Center Chapter Director for more details. Any individual who is not employed by the FAA and would like to support NHCFAE can be an Associate Member. You will receive our quarterly newsletter, invitations to events, member rate for conference registration, and e-mail correspondence. We can also connect you to members in your region. 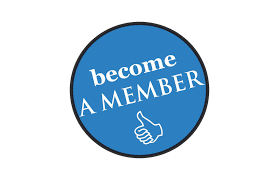 How to Join: Annual dues are $150.00 and are due on October 5 of each year. Submit a check and/or money order to your RCD made out to NHCFAE along with a completed: Associate Membership Application– for non-FAA employees. Contact your local Region or Center Chapter Director for more details. An active member retired from the FAA. Only active members, in good standing, can exercise the rights and privileges afforded by the Constitution, and its Bylaws; including the right to vote and hold office. How to Join: Dues are waived for the first year after retirement. After the first year of retirement, membership dues are $150.00 per year, and are due on October 5 of each year. Submit a check and/or money order to your RCD made out to NHCFAE along with a completed Retiree Membership Application. Contact your local Region or Center Chapter Director for more details. Individuals who have served and/or supported NHCFAE above and beyond the call. Submit nominations to the National Vice President. Nominees will be conferred by the Executive Committee. How to Join: Contact your local Region or Center Chapter Director for more details.